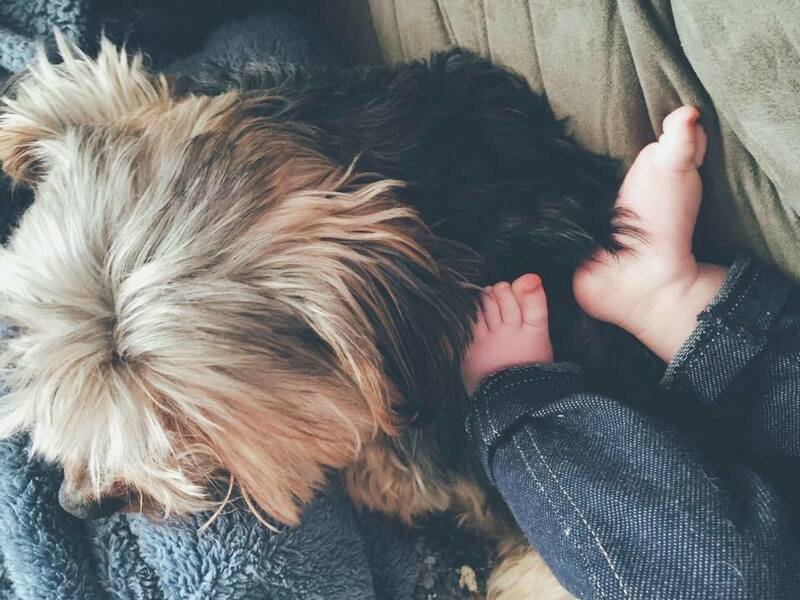 Baby feet buried in Peanut's fur. Peanut has been such a great big brother keeping Autumn and Mommy company. Last week I was sick with what was or close to be a flu. I thought after first delivering Autumn and being home recovering from the birth was tough, but being sick and taking care of a baby was a challenge for sure. Now, our little piglet is sick with congestion and a cold. It's so heartbreaking. I'm getting better but now The Dad is sick! She's been sleeping through the night for a few months now but with being sick it feels like she's a newborn again. We sure were spoiled this whole time. We've done all the homeopathic steps to help her get better but nothing seems to be helping. We are now putting some vapor rub on her chest and feet which has helped to soothe her at night. We also have a diffuser running with essential oils along with a humidifier. It's just a matter of making her comfortable until this passes. In the meantime she's extremely playful during the day and has been keeping herself occupied. Then there is the snuggling. Oh I love the sick piglet snuggles. She's also been talking up a storm! I wish I could continue to be sick and take it all from her. I long for warm weather and to sit outside in Peanut's area on a blanket with Autumn and watch her reaction to the birds chirping and the squirrels passing through. Soon..